Mitragyna Speciosa For Use as a supplement. O.P.M.S silver Maeng Da contains the Mitragyna Speciosa Leaf extract. Approximately 0.5 grams per capsule. The Maeng Da is an energeizing and stimulating feeling with pain killing effects. O.P.M.S. Gold is the leader in the Kratom because they use a cold water extraction designed to preserve the delicate nature of the plants alkaloids. 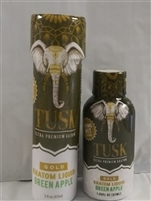 Since the gold caps are the PINNACLE of the Kratom products there only available to you in the 2ct, 3ct and 5 ct packaging. preserved, making for a better and a more complete product. Some people have experienced and found Maeng Da to be a stronger Kratom as compared to the others while others have reported no change or difference. When this kratom is taken in small doses, it has stimulating effects. This Kratom is one of the most cerebral strains and is often compared to using cognitive enhancers. It helps the person in increasing productivity and experience less tiredness when working with exercises that stress you mentally like studying or working. Maeng Da kratom also has remarkable effects on the mood; it makes you feel anything from a general contentment to full-on euphoria. 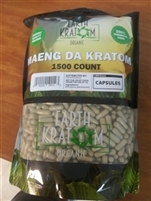 Earth Kratom offers the best in Kratom powder from a myriad of unique and reputable sources. There Kratom powder and other crushed leaf products such as capsules and liquid form are made from only the highest quality plant material. They stand behind there products completely guarantee your satisfaction. Maeng Da Kratom is a well-known strain of Kratom for its effectiveness. It is most potent when it comes to relieving chronic pain in people. So, this is the best option for curing your knee and elbow pain. It can work for arthritis, muscle pain, bones and even cancer. O.P.M.S silver is the best pulverized leaf Kratom on the market. This is the Mitragyna Javanica strand which is a set of small trees that are predominantly grown in Southeast Asia. The leaves of the tree are mined to prepare a brew that is said to have both a stimulating and relaxing effect on the mind. Mitrgyna Javanica is the rarest of all the Kratom leaves which is why this product is apart of the #1 selling O.P.M.S brand. 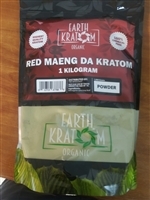 This is the 100 gram Maeng Da powder distributed by Kratom Kaps. Kratom Kaps uses some of the highest quality Kratom on the market. If you're looking for a clean and powerful Kratom product then give them a try today!